Pine wood nematode B. xylophilus is spread by Monochamus beetles and with the movement of infested live or sawn wood. B. xylophilus can live in the wood of all species of conifers other than Thuja, Tsuga and Taxus although North American pines in the nematodes’ natural distribution are not damaged. B. xylophilus originated in Canada, Mexico and the USA and is now widely distributed across China, Hong Kong, Japan, N&S Korea, Portugal and Taiwan. It has recently been eradicated from Spain. 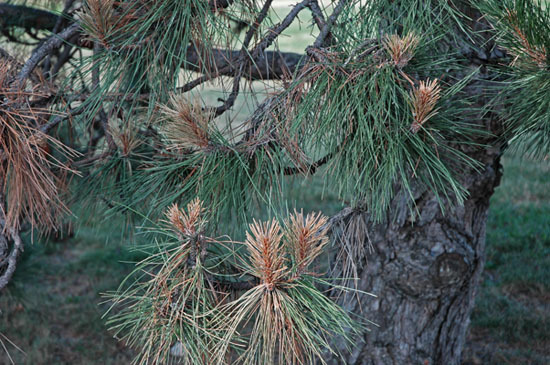 There are massive losses of susceptible trees, especially pines, in areas where wilt expression occurs. Such mortality causes economic and environmental damage. 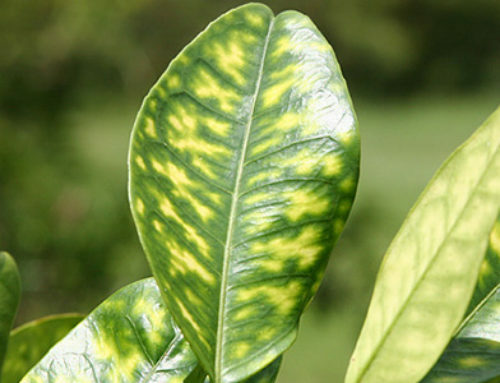 Both the nematode and its vector need to be present to establish an outbreak. 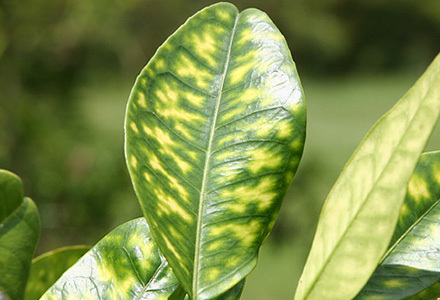 Where wilt expression occurs, the spread of infection can be prevented by early detection and felling of infested trees before emergence of the vector beetle. Destruction or treatment of infested material is necessary to kill both the nematode and its vectors. The nematode can also be present in trees not showing wilt since Monochamus breeds in weakened or freshly killed trees and the nematode can develop saptrophically. 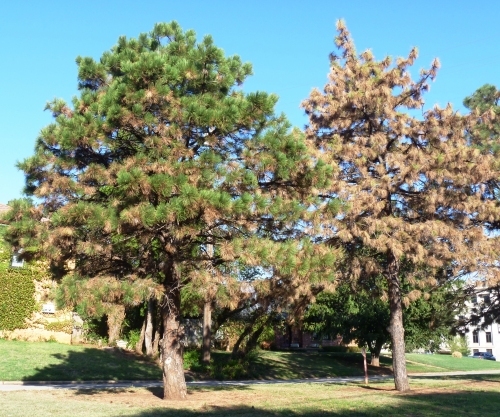 No control measures are applied in North America where the nematode is native and does not kill native tree species.